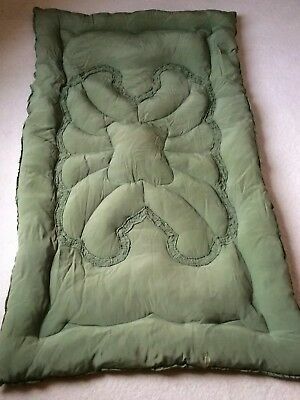 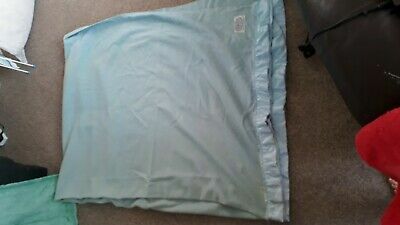 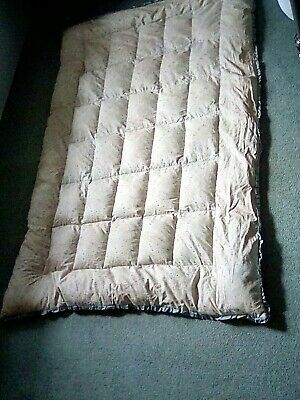 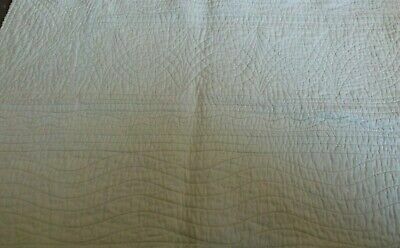 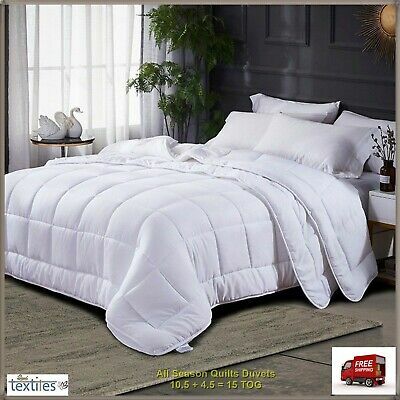 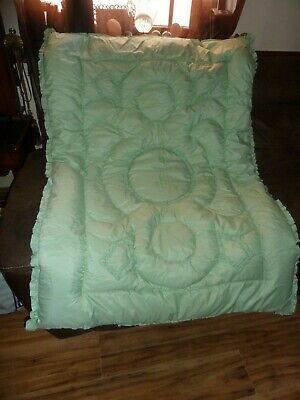 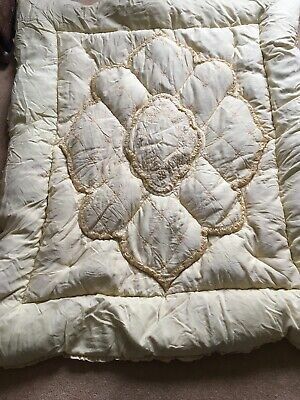 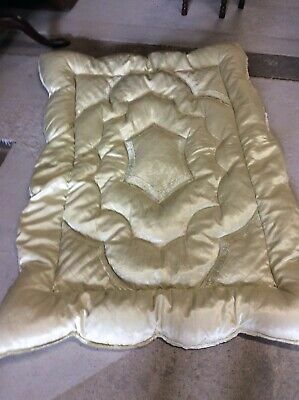 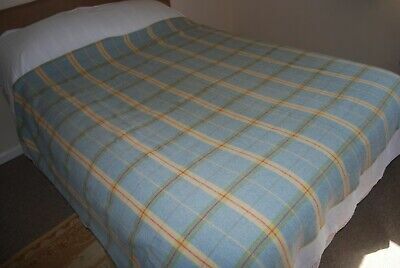 ANTIQUE VINTAGE DURHAM STYLE MACHINE STITCHED CREAM QUILT PANEL 32" x 20"
Vintage feather filled double eiderdown, pale green in excellent condition. 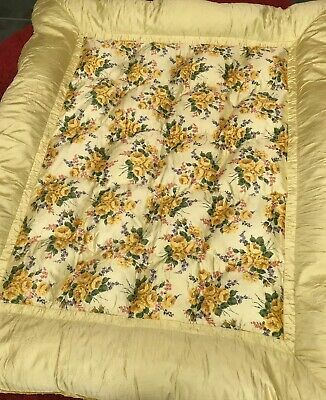 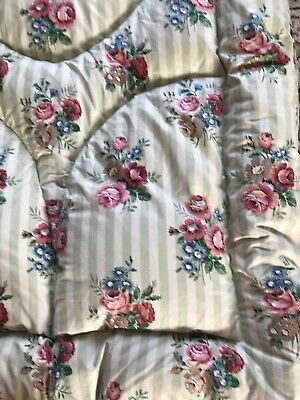 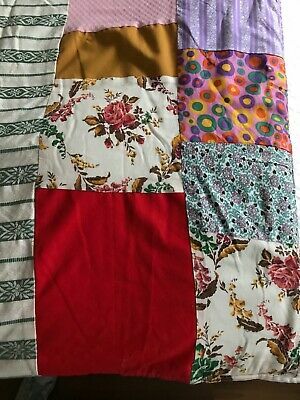 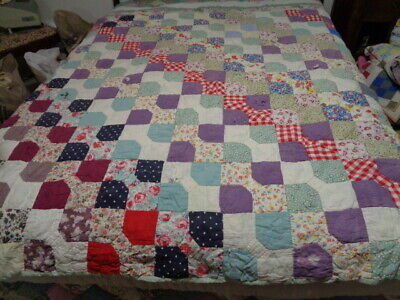 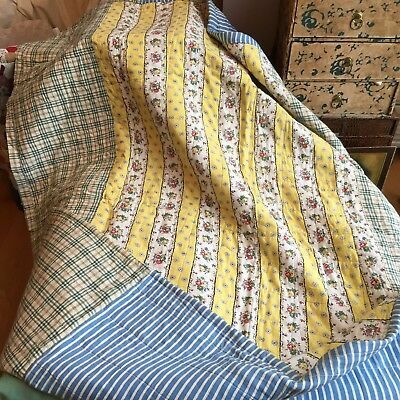 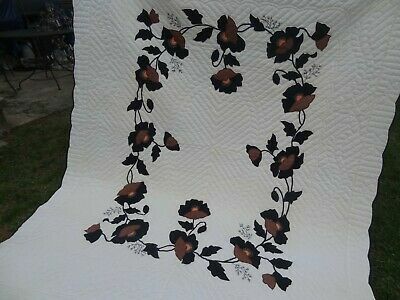 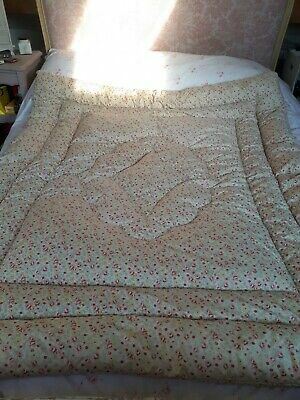 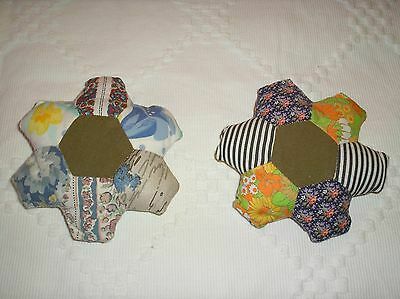 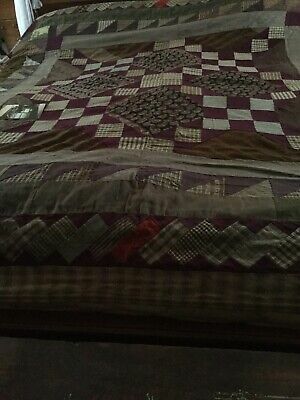 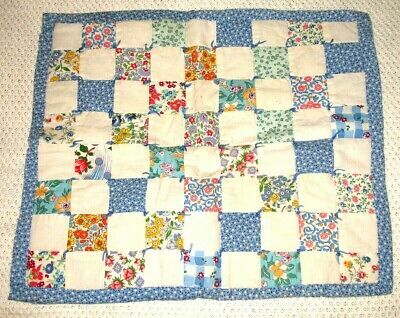 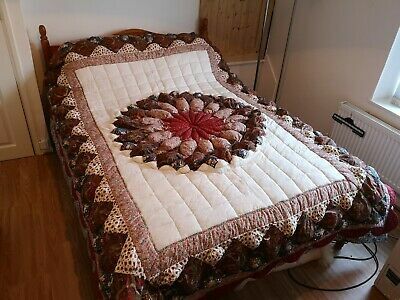 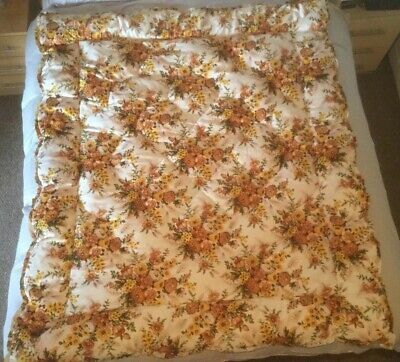 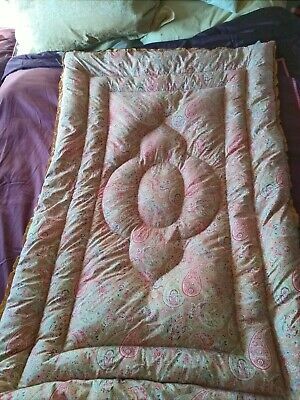 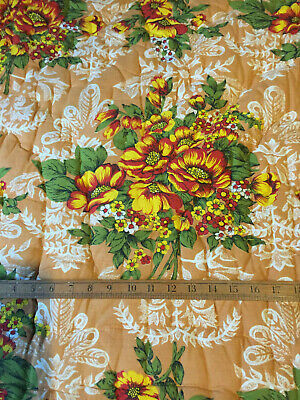 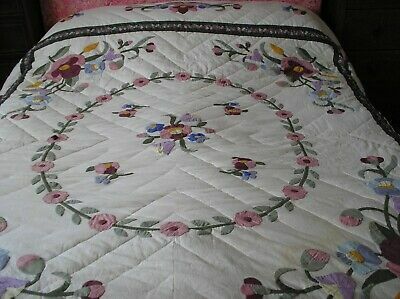 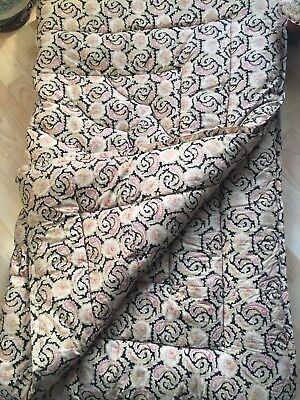 Feather eiderdown quilt Roses and Paisley pattern, Vintage Single. 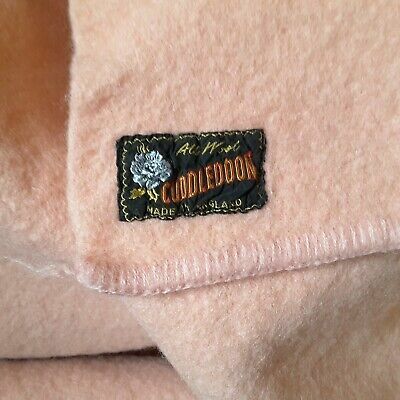 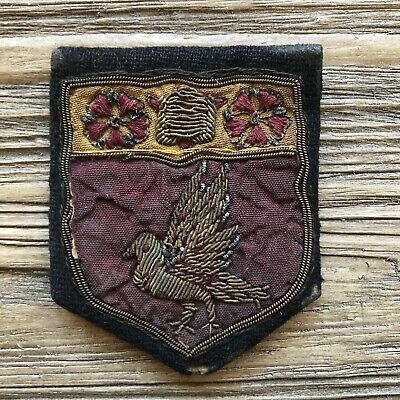 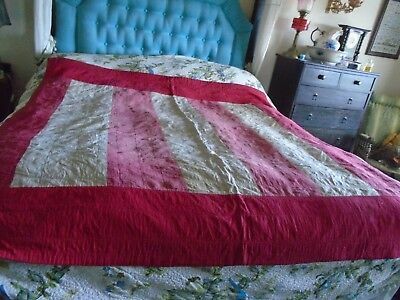 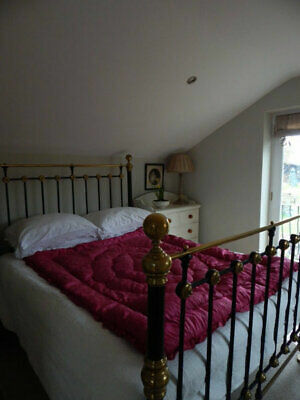 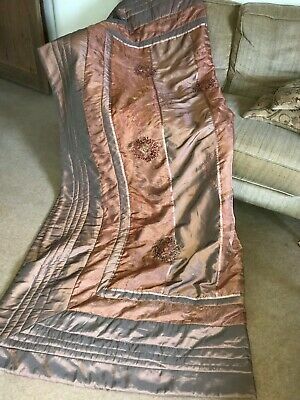 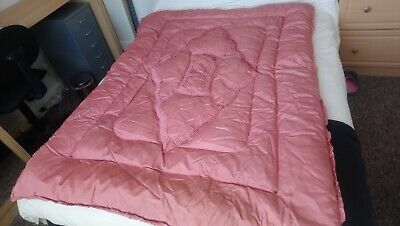 Vintage feather filled double eiderdown, rose pink in excellent condition. 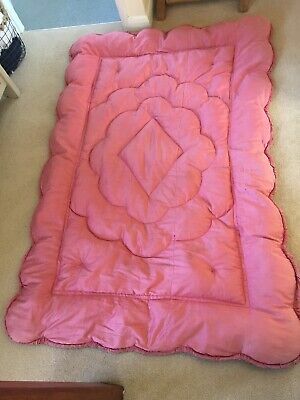 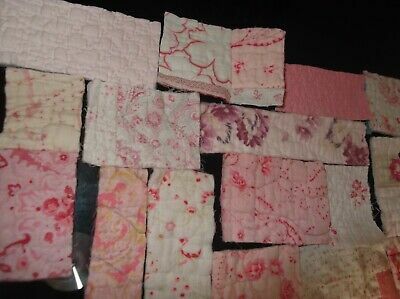 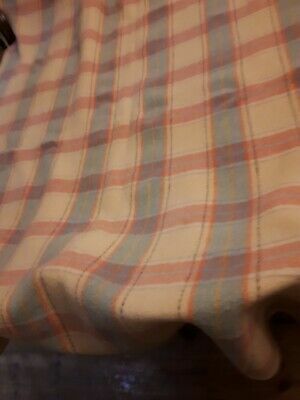 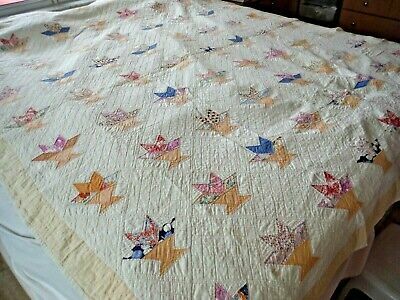 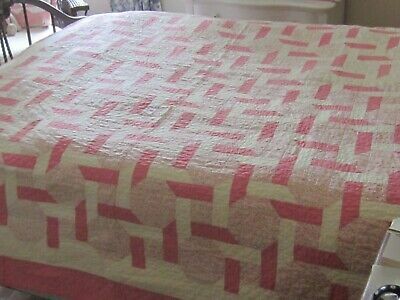 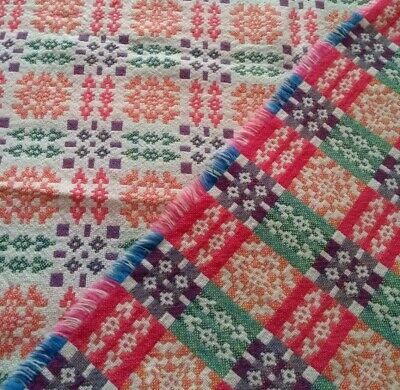 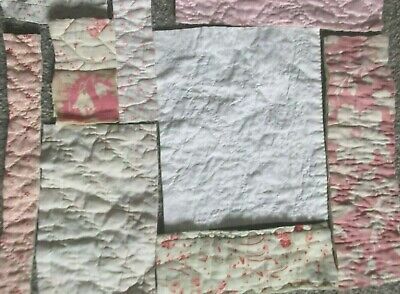 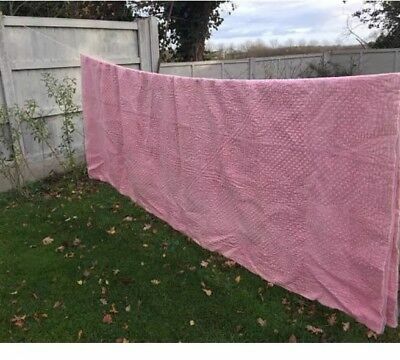 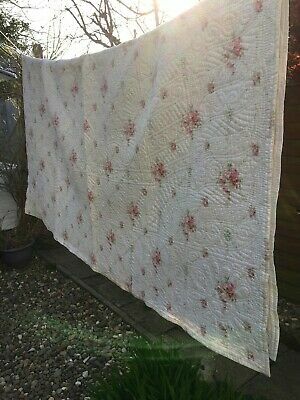 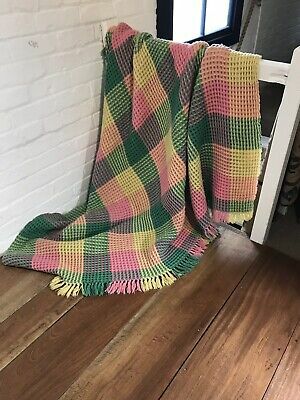 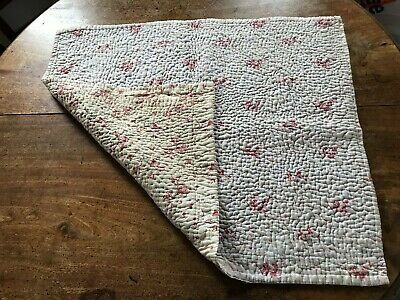 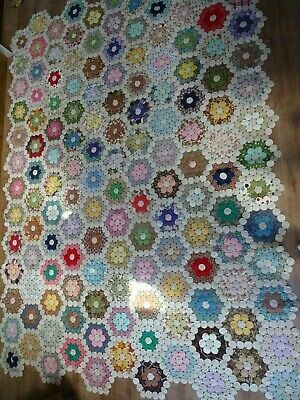 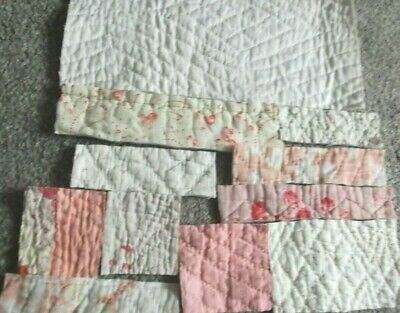 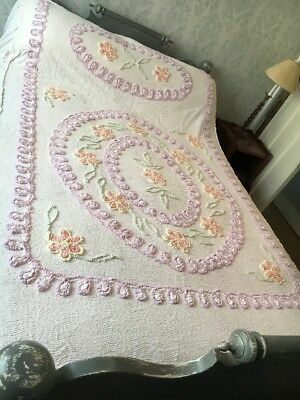 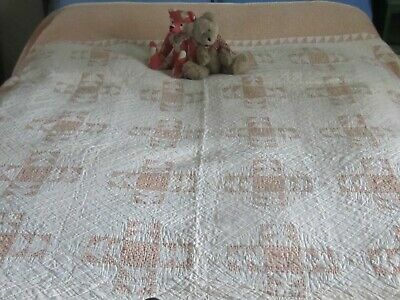 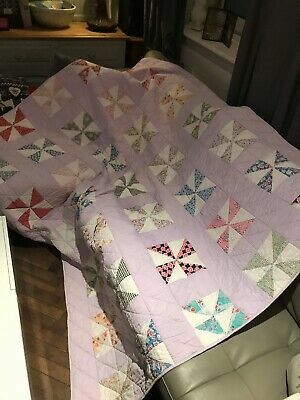 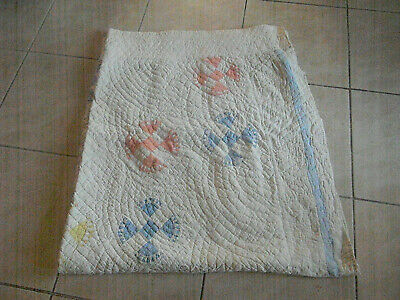 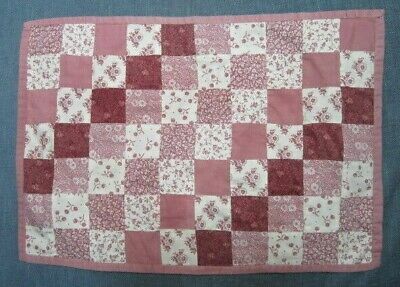 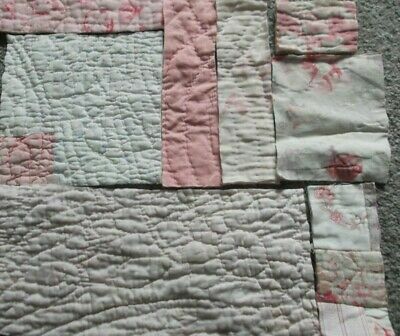 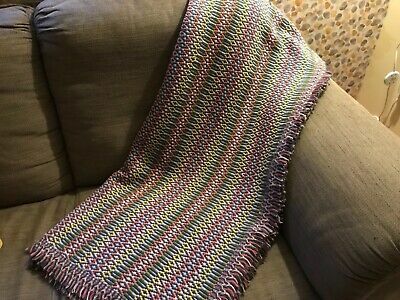 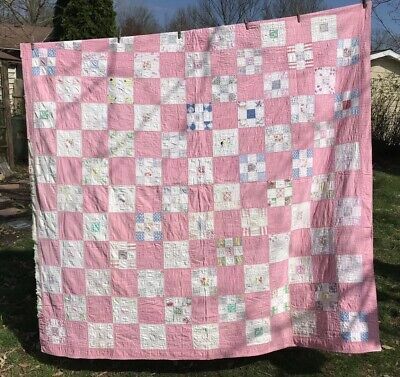 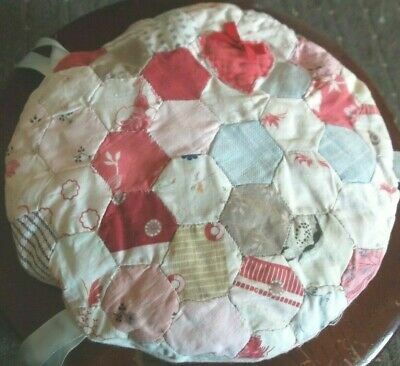 Very Charming Vintage Pink and White Chain Quilt 88X68"
Gorgeous Vintage Quilt Size 67" X 45"
Well Used & Washed Vintage Feed Sack Hand Pieced WEDDING RING Quilt; Needs TLC ! 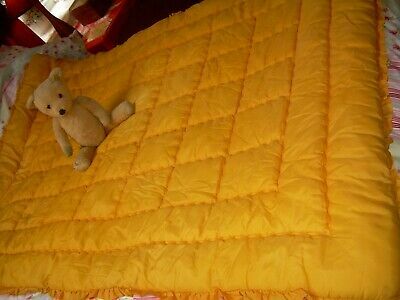 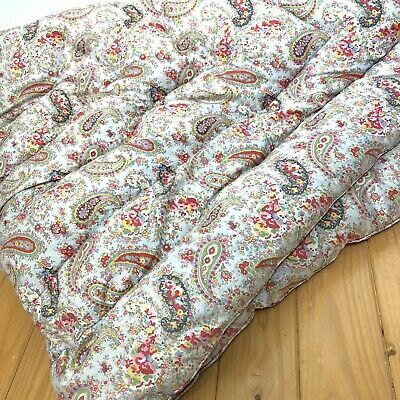 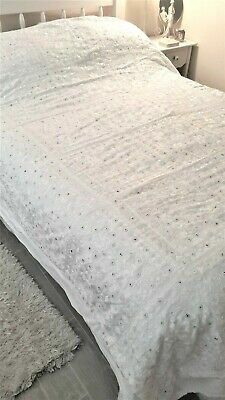 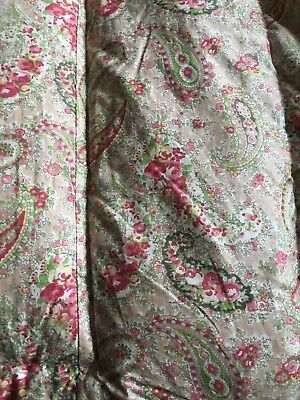 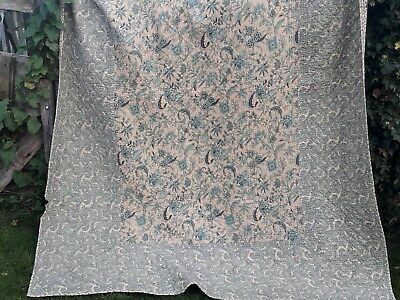 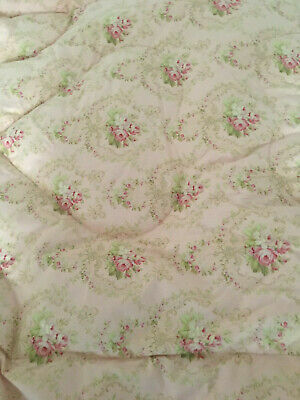 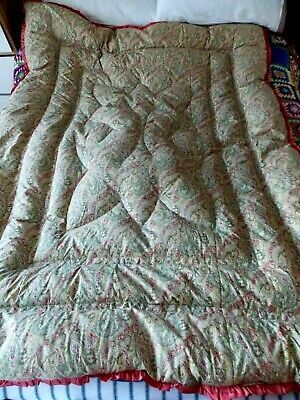 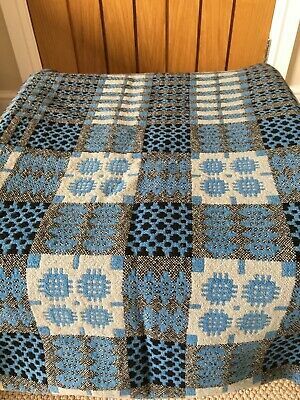 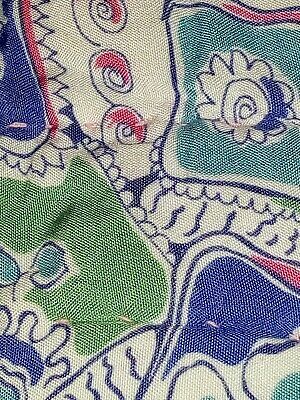 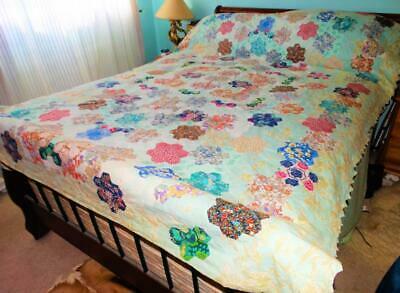 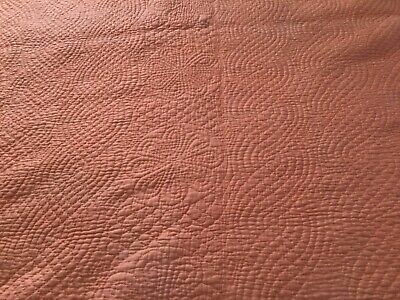 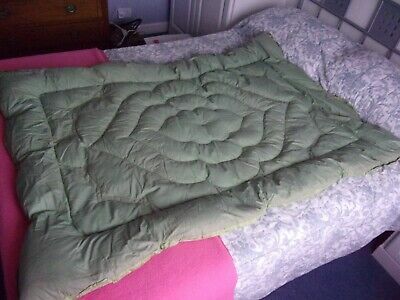 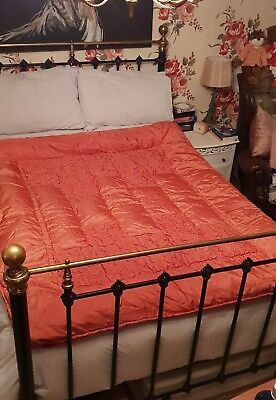 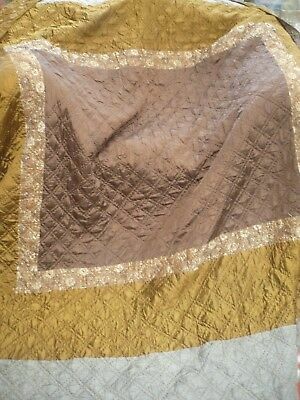 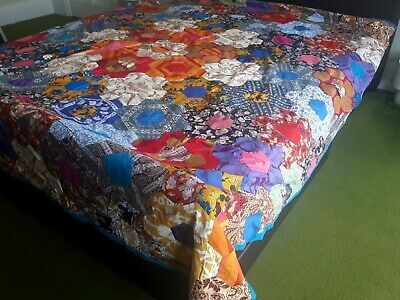 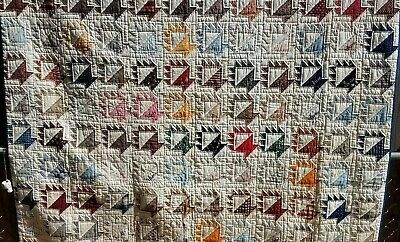 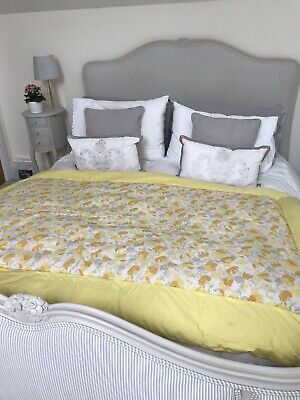 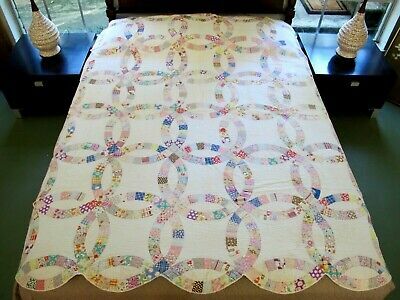 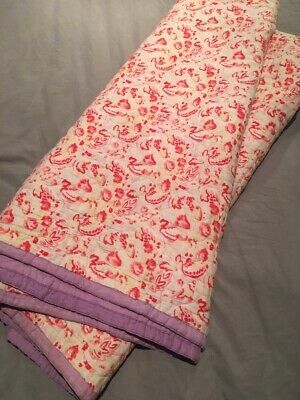 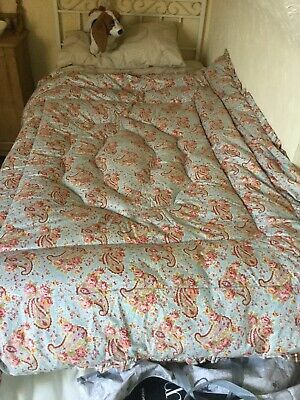 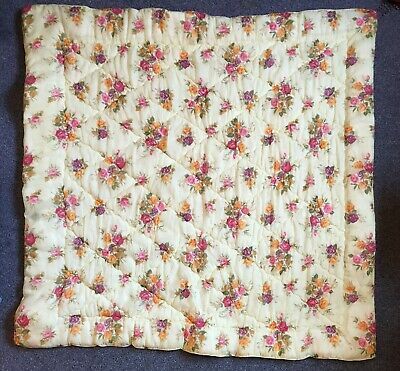 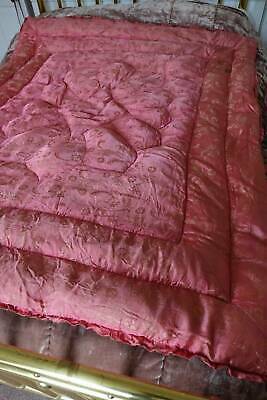 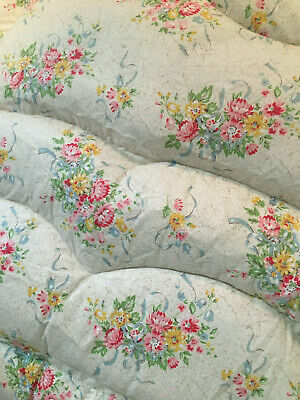 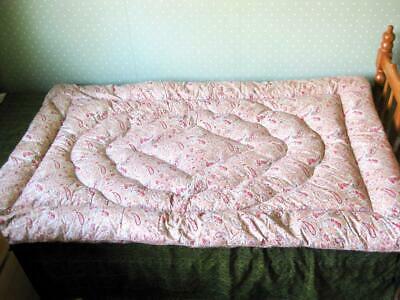 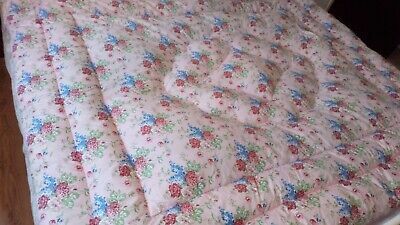 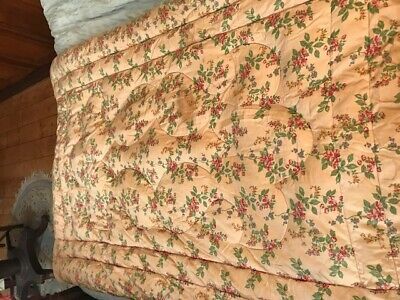 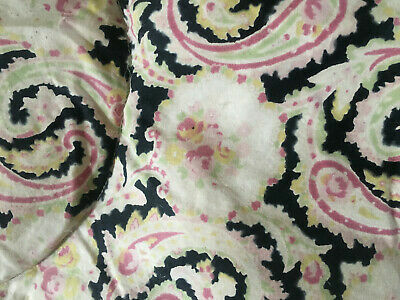 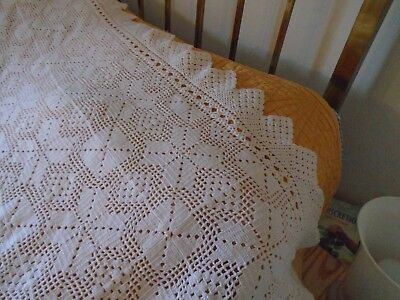 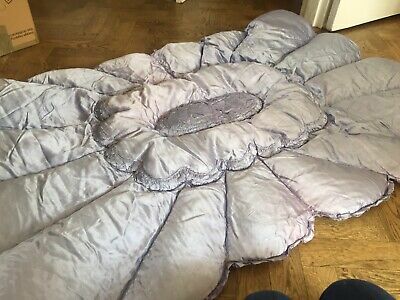 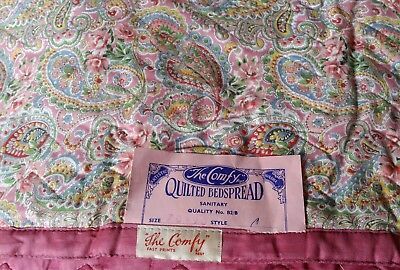 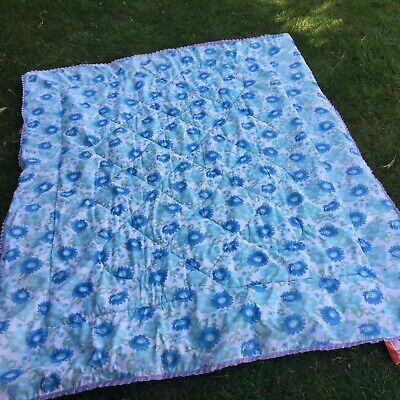 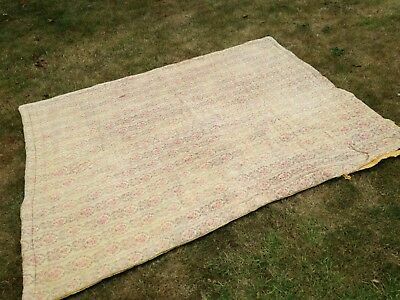 French Vintage Paisley Eiderdown Antique Quilt Reduced For Quick Sale !